Here is what you can do with your 60 pesos for 7 days using a Talk N Text prepaid SIM. With the new Panalo Combo 60 or PC60 is short, you can enjoy texting all your friends and love ones without worrying what network they using. You can also access to the internet for you to check out the latest feeds in Facebook, Twitter, Instagram and more. One last thing you can enjoy when you register to TNT PC60 is the tri-net calls worth 100 minutes to Sun Cellular, Smart and Talk N Text subscribers. If you’re looking for a combination of services in one telco promo, this is the best offer that you should try to save your budget. It’s like you’re spending almost Php9.00 per day to connect with your contact in three different ways. You can use voice, SMS and even online access to your messaging apps. With all the services included in this promo, you only need 60 pesos load on your prepaid account for you to be eligible for this offer. Just reload at your nearest load retailer, store and kiosk then use the keyword format for Panalo Data 60 to subscribe via SMS. 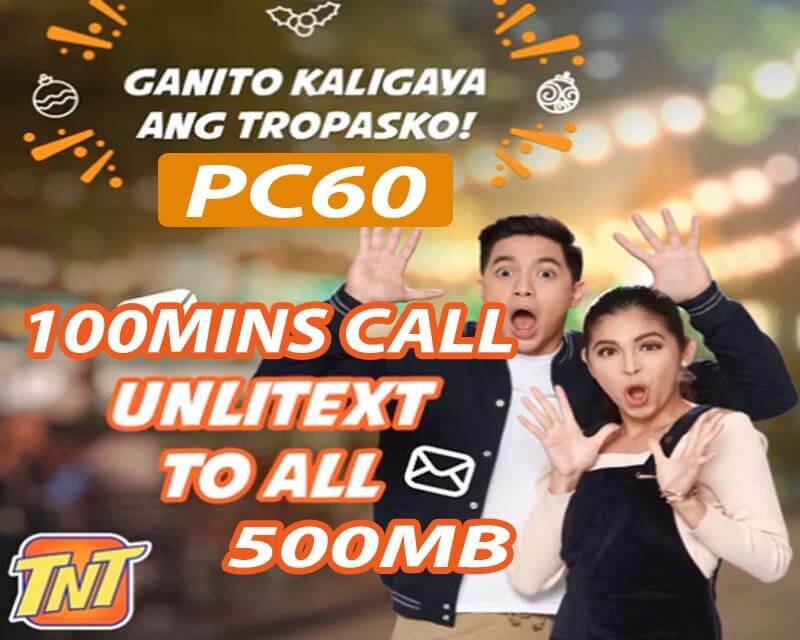 TNT also has another offer with the same price of P60.00 called Panalo Data 60 with 1GB of data and unlitext to all networks but with only 5 days validity. Just dial the Smart/TNT/Sun mobile number of the person you are trying to call. Make sure you have good signal reception when initiating a call to avoid garbled voice from both ends. Just turn on your phone’s mobile data and wait for the connectivity icon on top of your screen then open your mobile browser. Try opening www.google.com to see if your internet connectivity is working. Tip: Before using this promo, make sure you receive the notification from TNT that says your subscription is already active and ready to use. Also, it is best to use the TNT LTE SIM card to enjoy the faster internet speed and improve signal reception.